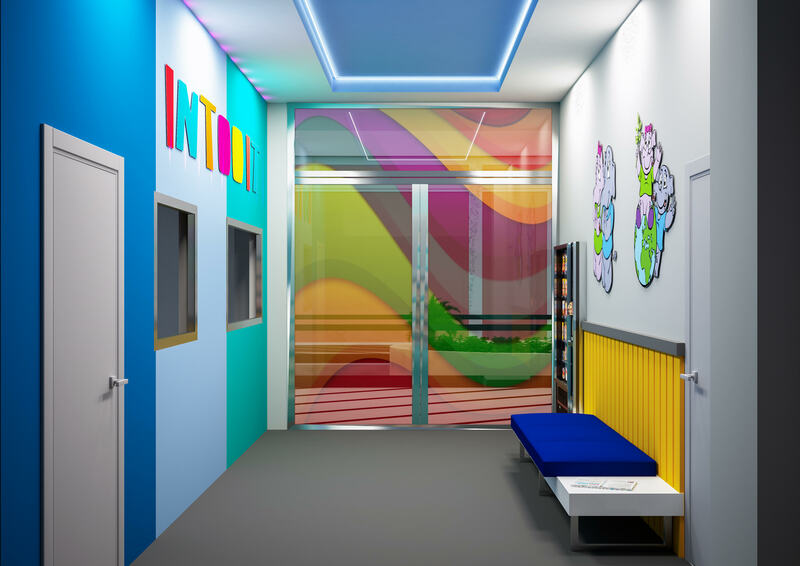 INTOOIT Kids club Marbella is a space designed for all kinds of kids. For this reason, we have taken care of all details in every area to adapt them to all ages and activities than can be done. The first one is for the little ones. It’s a safe and area adapted to their needs. In it, they can find a variety of educative and fun games suitable for their age. The second area is focused on different kinds of activities. 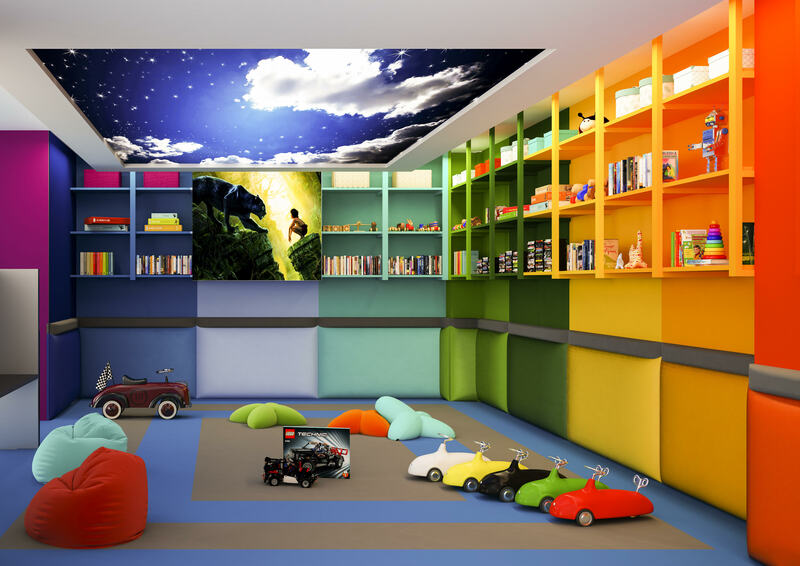 In it they will be able to find a reading space, free game area, the projector to watch movies and video games. The last and the most requested area is the ball castle. Meters of fun where you can enjoy a slide, a ball pool, a zip-line and much more. This is the biggest zone. It can be divided in different areas depending on the activity we are going to do. There’s a reading area, where we can find educative books for all ages and in different languages. In another area they can develop their imagination and explore whatever they want to be with play doughs and different kinds of paintings. 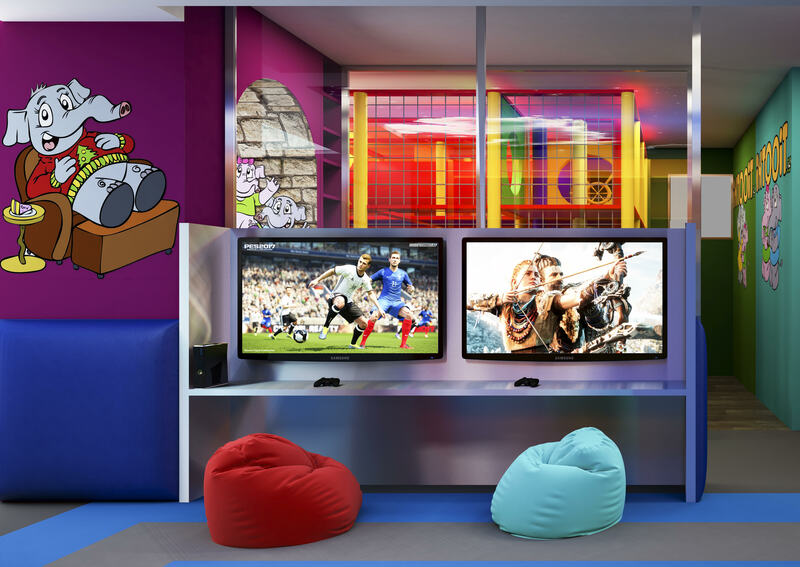 Also in this zone, we can find the videogames area where they can enjoy different games of PlayStation and Xbox, always under the close surveillance of our monitors and with limited time. A big cinema projector is available to watch children’s films, musical videos, karaoke and other requests for parties. The Labyrinth is the most active area. In it we can find lots of funny elements divided in the two floors. The most impressive part of the first floor is the balls pool and the zip-line. There’s also a small mirrors room and different obstacles which the kids will enjoy. The second floor has a rope bridge, a room with big balls, a tunnel with windows and much more but the most demanded part is the spacious slide which falls to the balls pool. It’s our special zone for the little ones, always under the surveillance of our monitors. Totally adapted to them with padding floor and walls, without corners and educative and fun toys adapted to their age. They will be able to play freely but they will also enjoy activities run by the monitors.